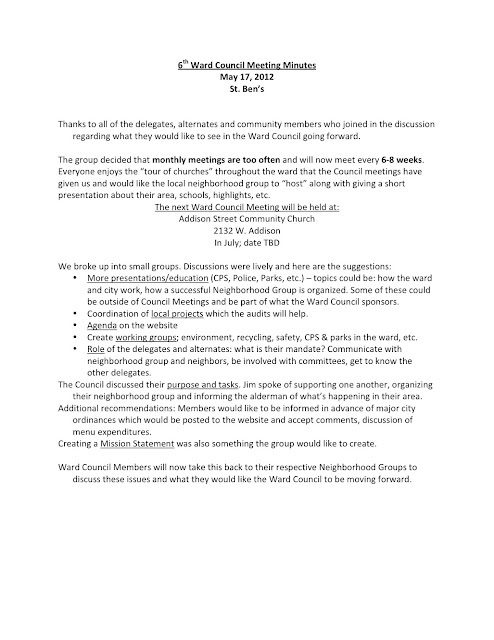 The sixth meeting of the 47th Ward Council took place this past Wednesday, May 16th at St. Benedict's Church. Alderman Pawar started things off speaking of his reasoning behind his council votes on The Infrastructure Trust and speed camera ordinance. A discussion of the Infrastructure Trust led into a sobering reminder about Chicago's and Illinois' unfunded pension issues. If no solution is found, an automatic property tax increase is set to take place in 2015-16. 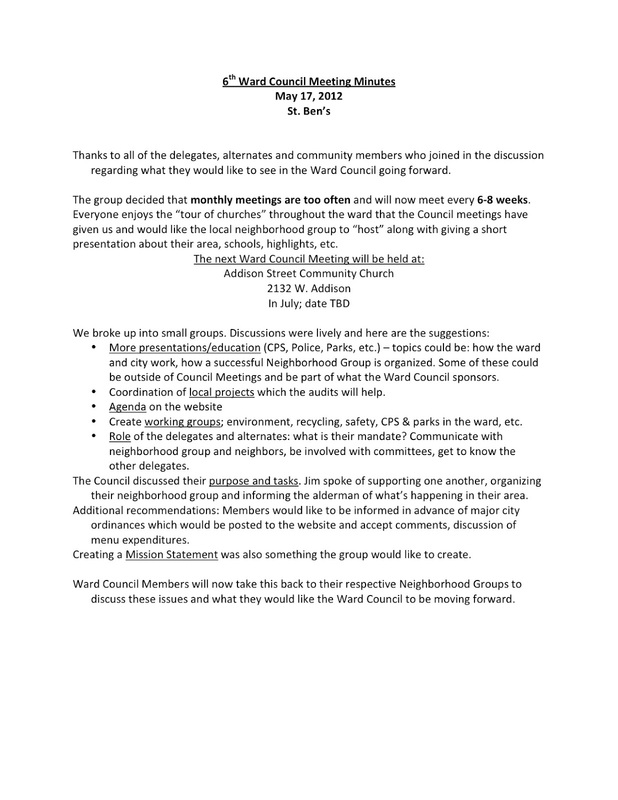 After the Alderman spoke, we broke down into smaller groups to discuss and review the Ward Council itself.